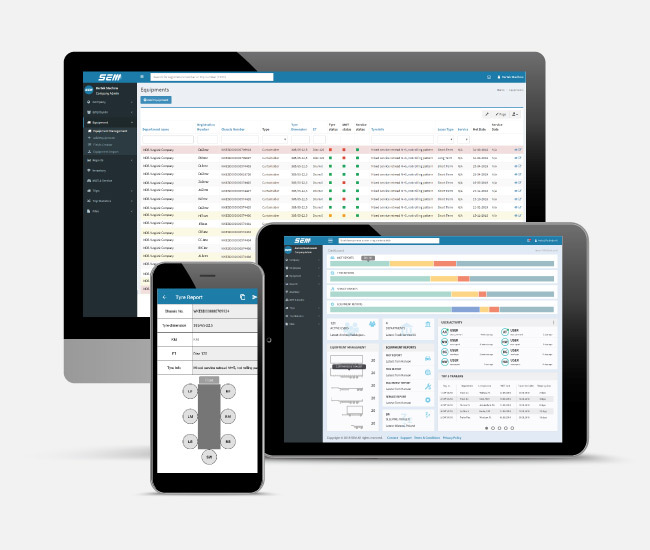 SEMfleet is a combination of multiple modules that can be tailored according to your company's needs to help you manage your fleet in the most efficient way. It doesn't matter if you have 10 or 1000 trailers, we will help you get control over your fleet. Using our platform will help you minimize the paperwork and focus on the development of your logistics services while keeping track of the status and the history of your equipment. We are here to make your everyday operations as easy as possible, using what we call a bridge between the IT and logistics with clear and effective features. Take a leap into the future of transportation and implement SEMfleet in your business. Plan a trip in a most efficient way to save cost and reduce idleness of your trailers. Compare the value of each trip and utilize your fleet to a maximum extent. Avoid surprise damages with regular reporting for each trailer including breakdown and tyre reports made by your employees or 3rd party acquaintances. No more excel sheets. Upload your equipment list to SEM and enjoy a seamless way of controlling all the trailers inside your company. 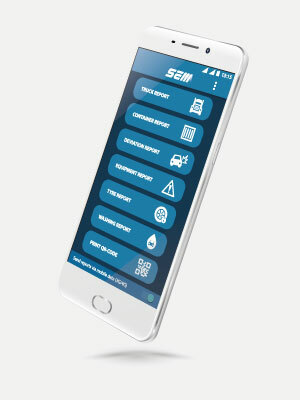 Download SEMfleet app and use your smartphone as a mobile tool for reporting the status of your trailers on the go. Update any event concerning your equipment from washing the trailer, to breakdowns and tyres condition. Plug in your already existing software to our service. Contact us and we will take care of the process. If you are interested in receiving an offer, please fill the contact form.